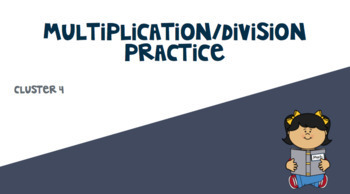 This product includes a PowerPoint and PDF version of multiplication and division word problems (including some multi-step word problems). 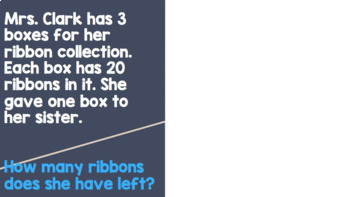 I use this resource with third graders, but it could be used in fourth grade as well. 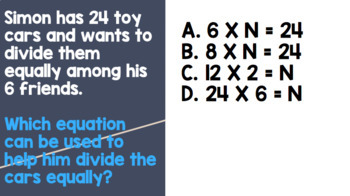 Some of the problems also include a step dealing with addition/subtraction. 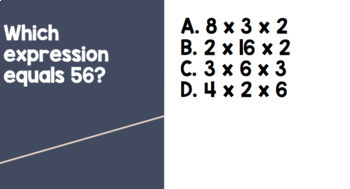 These problems are intended to get students to think deeply about the operations. This could be used whole group or while meeting with students in small group stations.